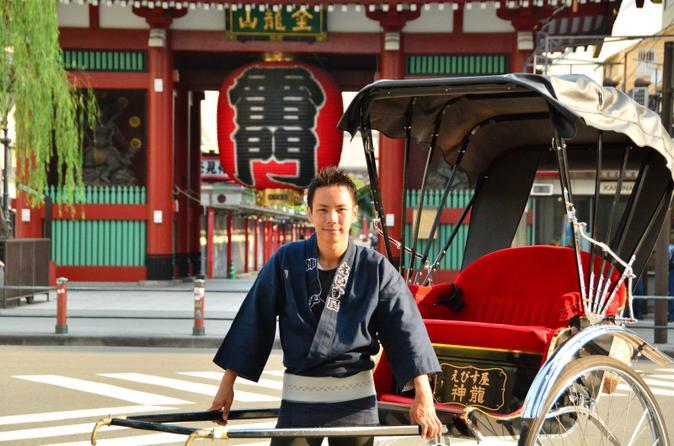 Meet your informative guide at Kaminarimon or the nearby Asakusa Station to board the traditional rickshaw, a two-passenger wagon pulled by your guide. Tokyo can be overwhelming, with a many great interesting sites spread throughout the city. A rickshaw ride with a local guide is the best way to see many essential spots quickly, and learn about them without having your face buried in a guidebook. Tour is customizable, so discuss possible routes with your guide. Here are four options for Tokyo rickshaw routes. Click on “View Additional Info” for the rickshaw meeting location.